Just south of San Francisco is the small town of Brisbane, holding less than five thousand people. One of the interesting bits of charm in Brisbane is their colorful fire hydrants. Back in the seventies, in order to celebrate our nation's bicentennial, the Brisbane Federated Women's Club convinced the fire chief, Dutch Moritz, to let them paint all the city's fire hydrants in honor of the occasion. And that's how it began. 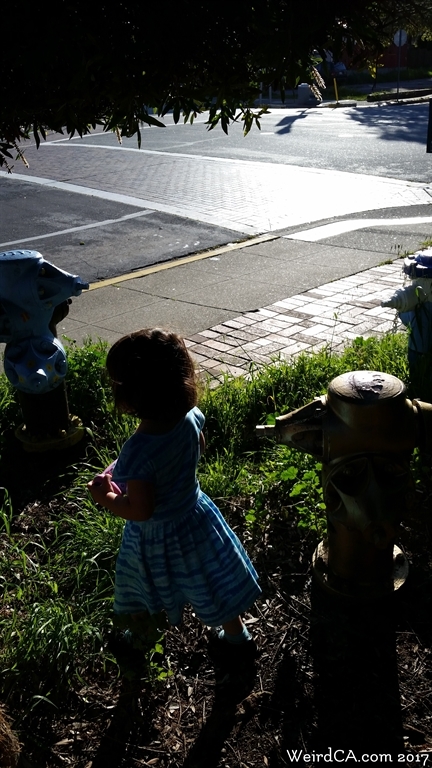 Many of the hydrants had faces or were colorfully painted. As new hydrants were added, they too were painted. But as fire hydrants grew old and were replaced, the originals are simply not thrown away, like in other cities. Instead they are sent to a corner in the city's downtown where with some trees and bushes they get to retire at an area now known as the Plug Preserve. 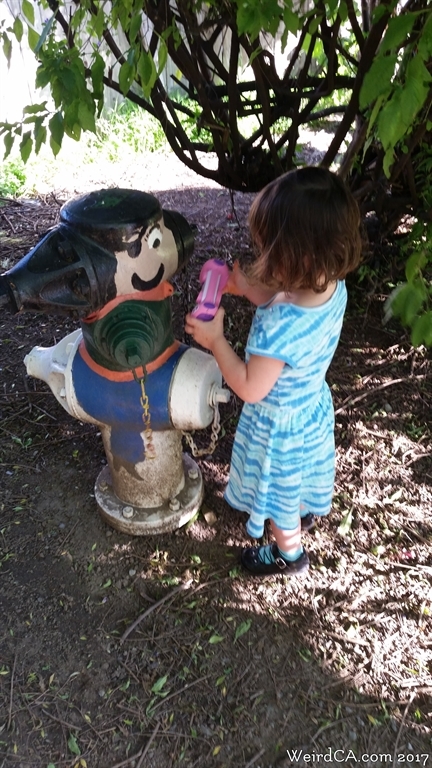 There are over a dozen fire hydrants reside in happy retirement at this sort of fire hydrant graveyard, still painted, greeting visitors, and making dogs happy. There's supposedly a plaque there, but either I missed it or the bushes were covering it the day I visited. The plaque states that the site was "dedicated on March 7, 1992 to Jeanne Berman-Hosking and the Federated Women's Club of Brisbane for bringing joy to Brisbane residents". As a side note, in Christmas, and for over sixty five years, residents on the east slope of San Bruno Mountain have put large lit stars on the downhill sides of their homes, thus giving the town the nickname "The City of Stars". I believe the city will even provide a wood framed star to residents if requested.